For Concerts, Contests, Recitals, and Worship (Medium Low Voice). Arranged by Mark Hayes. Series; Vocal; Vocal Collection; Worship Resources. 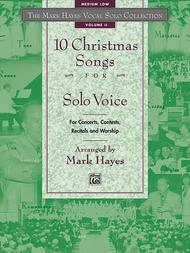 The Mark Hayes Vocal Solo Collection. Sacred. Songbook. With vocal melody, lyrics, piano accompaniment and pronunciation guide (for French and German). 72 pages. Jubilate Music Group #00-18919. Published by Jubilate Music Group (AP.18919). ISBN 0739000381. 9x12 inches. English. 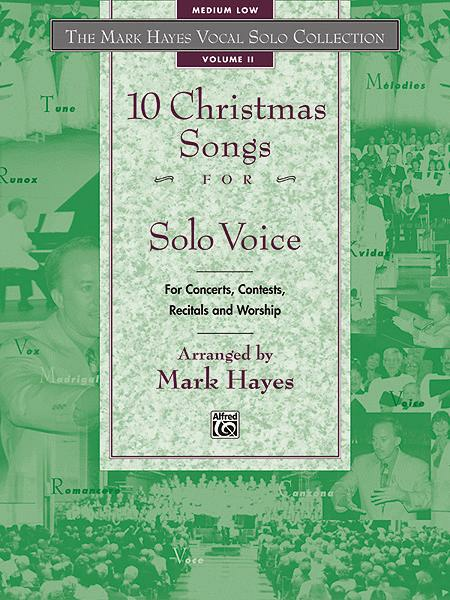 Award winning composer, arranger, pianist and recording artist Mark Hayes has crafted an exquisite anthology of Christmas arrangements for solo voice, including traditional carols, art songs, masterworks and spirituals. Reflecting the arranger's mastery of vocal accompaniment, the piano partners with the voice in true art song style. Available in medium high and medium low voicings.